Home » The Right kit » Experience Adventure ! I always seem to start my blog by apologising for taking so long to post...so here goes again....apologies it's been so long since the last post! On the positive side, we only shout when we have something to say. So, we've been lucky enough to partner up with a very exciting Adventure Travel and Expedition company called Exped Adventure. They are a UK based company, calling Staveley, in the Lake District, home. They offer everything from high altitude mountaineering, arctic snow shoe expeditions to UK hill walking skills. One of the main attractions for us, and why we have partnered with them, is they offer trips in-keeping with the types of places and adventures our customers (and ourselves) take on. Some of the highlights for us are the following trips they offer, but by no means the only ones worth looking at. 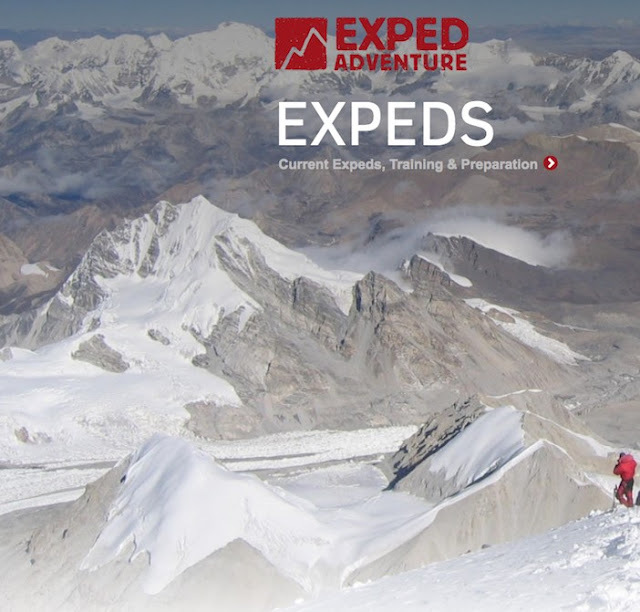 So, if you're looking to be guided on an adventure, big or small, or want to gain more skills in the mountains, take a look at what Exped Adventure have to offer.